Subjectivity, noise, and hospitality are key themes spanning Erín Moure’s oeuvre. There is a growing body of critical writing that analyzes Moure’s theories of citizenship and subjectivity but no articles published (other than Moure's own) that explicitly address the relationship of noise to the discourses of hospitality and subjectivity. It is my purpose here to show how processes of encounter such as hospitality, estrangement, and translation are thrown into relief by a reader’s carful attunement to Moure’s use of noise as both poetic medium and tool in O Cidadán. In her exploration of vibrant relationships among the poet, translator, reader, and text, Moure crosses over (places under erasure) the old paradigm of Western hospitality— with its host-guest-stranger-barbarian-hostage dispute over property and threshold—by setting the framework of recognition off-kilter. PhD Candidate, Department of English and Flim Studies, WLU. 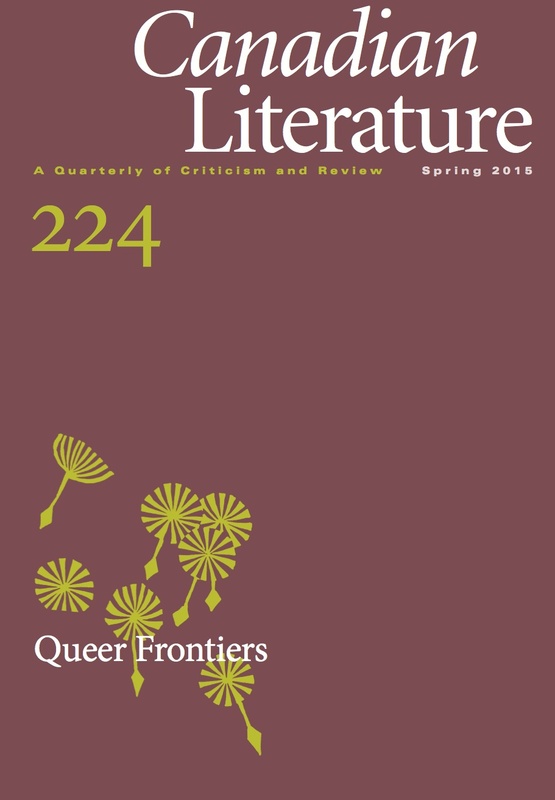 She has published a collection of poetry, fur(l) parachute (BookThug 2013) as well as a scholarly article: “A Catalogue of Failures: Error and Processual Utopia in Doris Lessing’s The Golden Notebook” Doris Lessing Studies, Fall-Spring 2013, Volume 31, No. 1-2. Her second collection of poetry, Myrmurs, is forthcoming from BookThug in Fall 2015.